After I posted about finishing my free motion quilting challenge , I received a request for instructions for making the quilt. 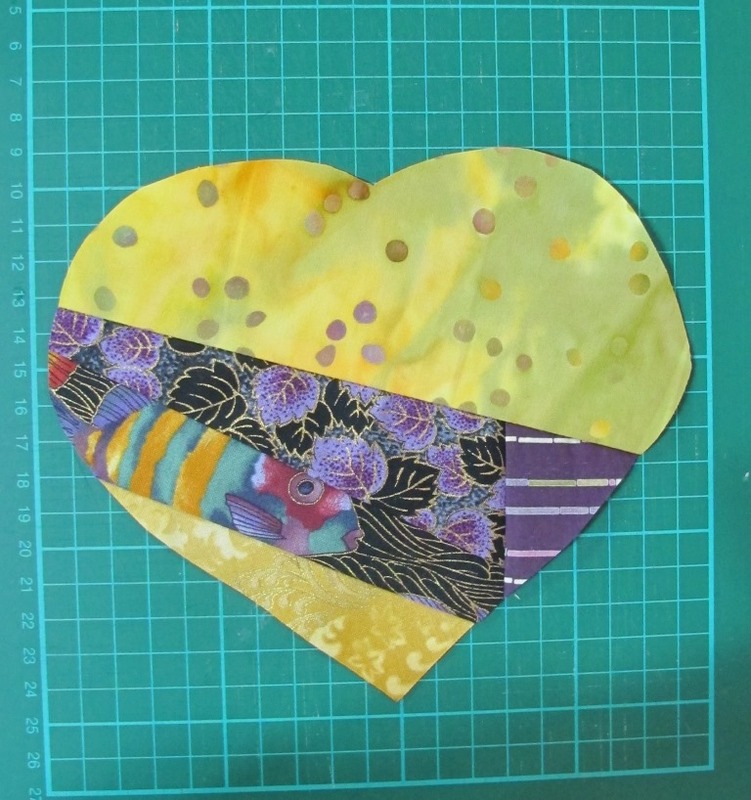 So here it is for Eva …..
Well, I’ve written the instruction for making the crazy heart block, and have left it up to you to decide on the block layout for the quilt …. with sashing, or blocks side by side, or maybe you won’t even make the hearts into blocks … made smaller the hearts would make great decorations. I have used a light interfacing as the foundation for my crazy piecing. The finished size, and shape, of your appliqué is drawn onto the interfacing. The blocks in my quilt were about 12″, so I made the heart about 10″. Start at an edge of the heart; place two fabrics right sides together and stitch a straight seam. 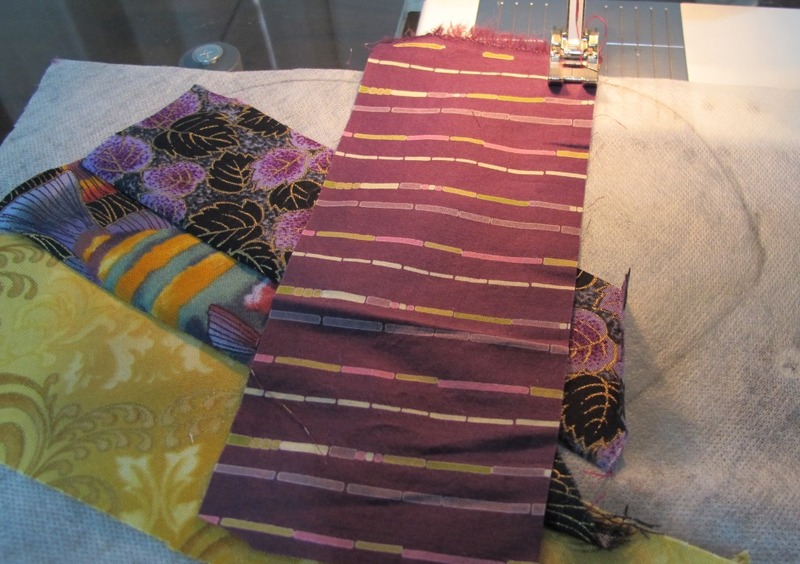 Place another piece of fabric, at an angle with wrong side up, on top of the opened fabric and stitch a straight seam. Fabric will cover the ends of the previous scraps. Continue to build up the fabrics, at random angles, until your shape has been covered. Trim the heart shape along the drawn line. 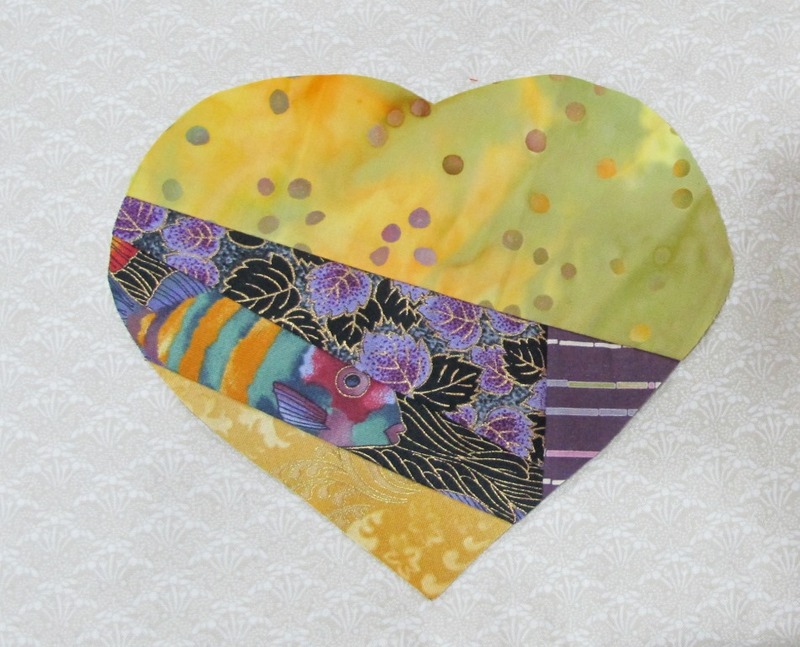 Glue the heart onto the quilt background fabric using a small dab of Sewline Glue. You are now ready to sew the heart into place on the block. 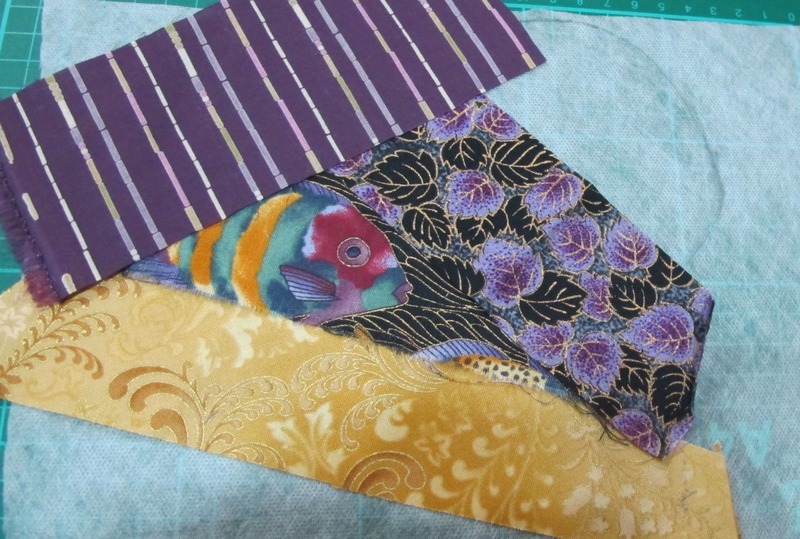 Use 40wt Cotton Mako and a straight stitch or Aurifil 12wt Cotton Mako and a decorative machine stitch. Once the hearts are all stitched into place on the background fabric blocks, you can join them together in your preferred layout to make the quilt top. If you don’t want to make an entire quilt as I did, you can make some festive place-mats or even a single coffee mug mat. This is a wonderfully fun way to use up those scraps you love.